Actual Size: Length: 24', Width: 27', Height: 16', Weight: 559 lbs. 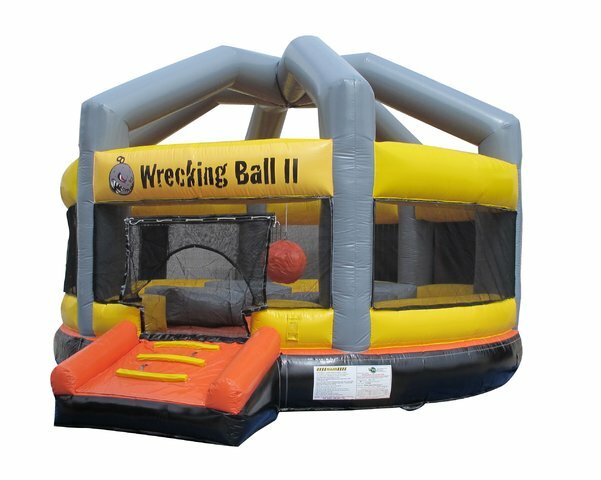 Up to Four (4) Players stand on the inflatable podiums and hurl the "Wrecking Ball" at each other trying knock opponents off their podiums. Last person standing wins! Great for Sorority, Fraternity, School, Religious function, Corporate or Community event.